Find accommodation that fits your holiday needs. Hotels in Corfu in unique locations for enjoying your stay. Luxury villas in Corfu with various facilities for the best holidays. Kassiopi is situated on the north-eastern part of Corfu island. It is located 34km far from Corfu town. The name of Kassiopi can be found in ancient texts. The myth says that Cassiopeia was the wife of King Cepheus of Ethiopia and mother of Andromeda. The history of the region is very interesting. Since the ancient times it appears to be a place with a great strategic importance. The castle that stands until now in the hill of Kassiopi signifies the ancient history of Corfu island. Nowadays, the Kassiopi is one of the most famous tourist destinations of Corfu. It has all the appropriate standards for relaxing holidays and at the same time is full of fun. The morphology of the region combines picturesque bays and natural ports with mountain beauty. Imerolia is the last part of Kassiopi and is just 500m from the center of the village. It is a quite region has a lot of green and also consists from small pebble beaches. From above are the foothills of the mountain Podolakos. A climb to this mountain, could be a surprise for every visitor from this excellent view of Imerolia and the village of Kassiopi. 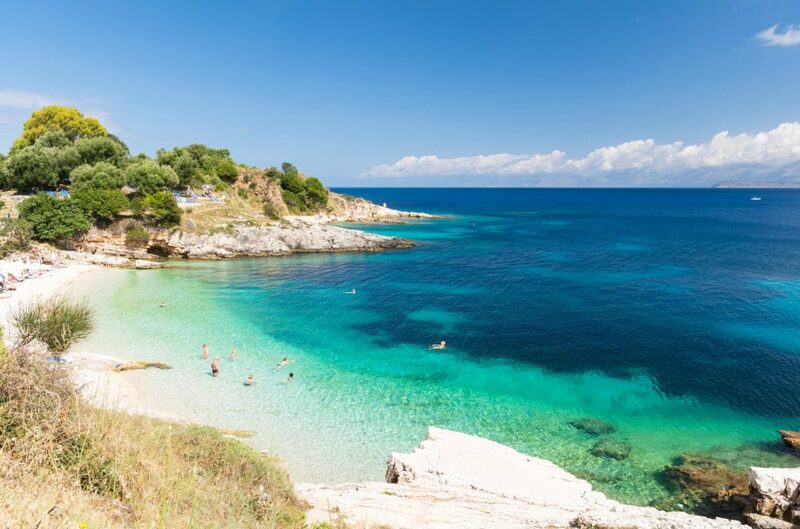 Kassiopi’s beaches are magnificent and have crystal clear waters. When the visitor stands to the harbor of Kassiopi, can turn to the left and see at 200m the beach which has named Battery. The beach is pebbly, has turquoise waters and is like a swimming pool. Next to Battery is the beach of Kanoni. The area around of the Kanoni is rocky which form small bays and beaches from pebbles. About 200m from Kanoni beach visitor be able to swim to another beach called Kalamionas.This is a beach that has a blue flag and consists from small pebbles, ideal for young children and families. In Kassiopi you can find apartments for rent, studios, hotels and also luxury villas with swimming pools in a unique natural landscape with an excellent sea view. 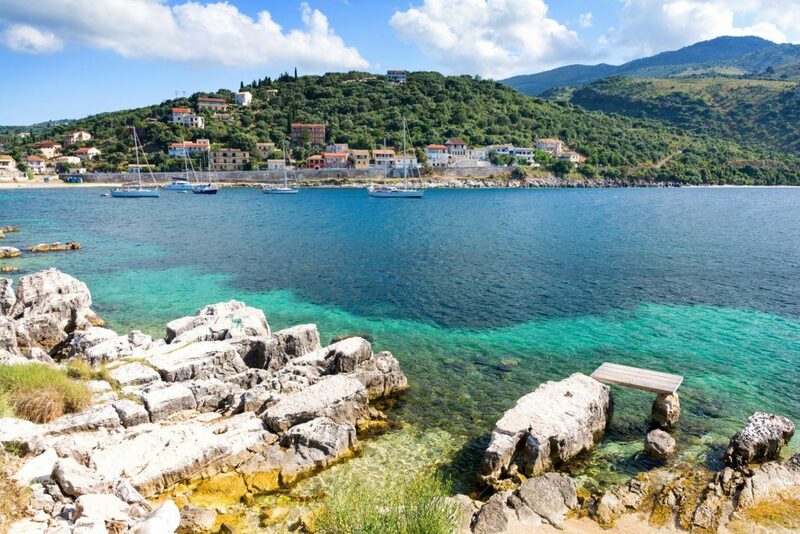 Kassiopi is a destination that cover all the needs of the visitor. In this village the visitor can choose between several nice restaurants as Janis Restaurant, Petrino Restaurant, Bolero Restaurant, Three Brothers Restaurant, Porto Restaurant, Trilogia Resturant, Ungle Simos Restaurant, Little Italy Pizzeria, La Luna Pizzeria, Kastelo Restaurant, and Kima Restaurant with international and Corfiot cuisine. There are also snack bars clubs like Virginia’s Place, Passion Club and pubs like Vision and Illusions, Jasmine karaoke bar and Kostas Bar that are open until late at night and offers music, dancing, karaoke, quiz and other event. The main street that ends to the picturesque harbor there are variety of shops which are selling clothes, jewelleries, souvenirs and accessories for the beach. 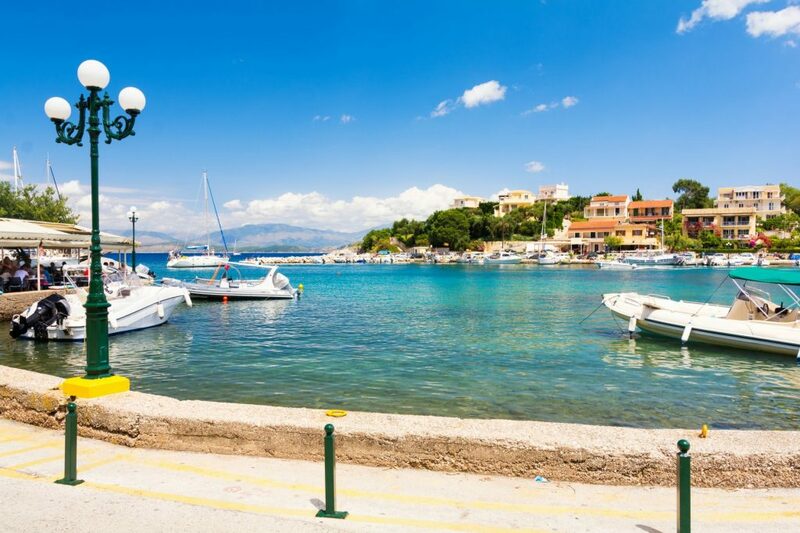 Kassiopi also has tourist offices for tours, super markets, bakeries, cars and motorbikes for rent, pharmacy, clinic, police station and gas station. Our apartments is a family apartment complex located in the heart of Kassiopi village.The properly is surrounded by a beautiful garden full of orange trees. Melina Bay Seaside Boutique Hotel opens in 2014 fully refurbished in the heart of Corfu Island’s Kassiopi harbour. Its unique location and high standard of comfort and style make Melina Bay a new and exceptional choice for your holiday accommodation. This apartment and studio complex is located in the picturesque harbour of Kassiopi. Its sea view apartments offer fantastic views of the harbour, whilst its central location allows easy access to the wide variety of restaurants and bars. Villa Niki is the villa with the best location in Kassiopi. Artheo Hotel, being set amidst a secluded location of the area of Kassiopi consists of newly-built apartments, boasting modern decoration that are surely going to meet every customer’s requirements. Located at Kassiopi village, northeast on the island of Corfu. Senses Studios are a contemporary solution for visitors that would like to feel like home but also explore the natural beauty of Kassiopi, one of the most beautiful villages of Corfu! Situated on the hillside in the entrance of Kassiopi and under the sleepless eye of the Corfiot mountain Pantokratoras, Emily’s Apartments offers four classically-decorated and air-conditioned 2-bedroom apts with an outdoor swimming pool and a free parking area.